Star Jones — lawyer and former host of “The View” — has debuted a line of clothing, called Status, on QVC. The sizes will go from 6 to 26. There was a classic moment on ShopHQ early this morning. One of the so-called “Three Amigos,” jewelry vendor Michael Valitutti, was on the air with host Lynne Schacher pitching his honker 50-carat smokey quartz ring. It was the Today’s Top Value. A shopper called in rave about Valitutti’s jewelry, which she said she had purchased on HSN. Whoops! We thought there was a time delay on home shopping nets, but the delay didn’t catch this little plug for ShopHQ rival HSN. Years ago, Valitutti was on HSN. No more. Judy Crowell — a veteran vendor and host on QVC, HSN, ShopHQ and Jewelry Television — has a new venture in the works. According to Facebook, Crowell has a jewelry line getting ready for ShopHQ, where she once did a clothing line and her husband Paul Deasy now has a jewelry line, as well. Judy’s collection, silver and gems, is called JOYA by Judy Crowell. She said on Facebook that the unveling of her new jewelry line will happen soon. No word when. By the end of this month, the home shopping network is scheduled to debut a social-media platform called toGather, which will have a lot of similarities to Pinterest and Facebook. ToGather was actually developed by Oodle Inc., a company that QVC acquired last December to fuel to jump start its its social commerce. QVC honchos have described toGather as “groundbreaking.” Users of toGather will be able to “heart” products — its version of “like” — build their own collections as with Pinterest and follow QVC hosts and vendors. WEST CHESTER, Pa. (September 23, 2013) – Home to some of the most successful entrepreneurs today, QVC has announced that it is teaming up with self-made businesswoman and mother Bethenny Frankel for the inaugural season of her nationally syndicated talk show “bethenny.” Frankel, who brings her uniquely honest, unfiltered and playful perspective to daytime television on “bethenny,” will feature QVC hosts in several episodes. As respected authorities on a variety of lifestyle topics, QVC’s relatable personalities will offer tips and advice on the themes that interest women most: cooking, home décor, beauty and style trends and more. QVC’s first “bethenny” appearance will feature David Venable, host of “In the Kitchen with David” and cookbook author. Venable will offer simple, useful cooking tips in a segment titled “David to the Rescue,” which is scheduled to air Tuesday, September 24. Additional segments featuring Venable and QVC Host Lisa Robertson will follow throughout the season. QVC, the leading video and ecommerce retailer, is promoting Frankel’s new show and the host appearances on its own web site at http://www.qvc.com/bethenny. To find out when “bethenny” airs in your city, please visit http://www.bethenny.com. As our colleague at our day job, Hugh Morley, would say — Ai, ai, ai (or however that’s spelled)! QVC’s “lifestyle experts,” hosts Lisa Robertson and David Venable, will apparently be making regular appearances on Bethenny Frankel’s new TV show. Daytime talk show host Bethenny Frankel, the “Queen of Too Much Information,” is teaming up with QVC’s own lifestyle experts David Venable and Lisa Robertson throughout the inaugural season of bethenny. Watch David and Lisa dish with the self-made businesswoman on everything from fashion must-haves and home-decorating ideas to cooking tips, beauty, and more. Bethenny Frankel brings her uniquely honest, unfiltered, playful perspective to her very own daytime talk show. Encouraging her audience to love and accept themselves while taking risks to impact their lives, family, friends, and communities, Bethenny orchestrates it all while maintaining a sense of humor, candidness, and point of view—always coming from a place of yes. Bethenny will cover the topics that women care about most—from love and relationships to celebrities and pop culture to beauty, cooking tips, and fitness, all through Bethenny’s own personal and professional life experiences. Venable will be appearing Sept. 24. We don’t particularly consider Robertson and Venable lifestyle experts, but what the heck. We do know, and were shocked when we learned it, that Venable’s “In the Kitchen With David” is a huge, more than $100 million money maker for QVC. We’ve never bought one item from it, but what do we know? We actually like Frankel, and we have a bottle of her Skinny Girl Margarita sitting in our refridgerator. Celebrity chef and restaurateur Ming today launched his line of “Simply Ming” kitchen tools and accessories on HSN. The collection “combines functional innovation with Ming Tsai’s extensive culinary background to create uniquely engineered products that are perfect for the demands of today’s home cooks,” according to HSN. The “Simply Ming” collection incorporates hard-anodized aluminum and high-end ceramics help deliver overall performance and durability. The line will offer a variety of culinary products and cookbooks and include exclusive configurations of: the 4-piece AeroKnife Set; Edge of Glory Knife Sharpener; the Bamboo Cutting Board with Built in Magnetic Knife Technology; a Nuwave Cooking Station Induction Burner; and a Nuwave Elite 9″ Frypan. Additionally, the collection will include two cookbooks, Simply Ming One-Pot Meals and Simply Ming in Your Kitchen, featuring many of his East-West favorites. The 4-piece AeroKnife Set will be available for a one-day-only price of $19.95 in exclusive colors: black, red, ccbalt blue, tangerine, lime green and white diamond. Raised in Dayton, Ohio, Ming Tsai’s passion for cooking began as a child beside his parents at their family-owned restaurant, Mandarin Kitchen. While completing his degree in Mechanical Engineering from Yale University, Ming spent summers in Paris at the renowned Le Cordon Bleu cooking school, eventually moved to Paris and trained under multiple renowned chefs, and later earned his master’s degree at Cornell University’s Hotel School. In 1998, Ming opened Blue Ginger in Wellesley, Mass His success led him to open Blue Dragon, a 90-seat Asian gastropub in Boston in 2013. Ming also represents the United States with the Diplomatic Culinary Partnership Initiative/American Chefs Corps, where chefs around the country participate in official government programs that use food as a foundation for public diplomacy efforts at home and abroad. 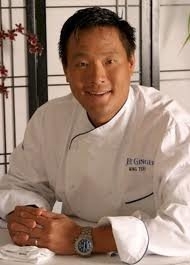 He transitioned into television in 1998, when he began cooking for the Food Network and won an Emmy as host of “East Meets West With Ming Tsai.” In 2008, Ming traveled to the Beijing Olympics with NBC’s “Today” show to provide viewers with insight into food customs and traditions that define his Chinese heritage. QVC Tuesday unveiled QVC Sprouts, an ongoing crowd-sourced competition to search for the best up-and-coming products. This week, six QVC Sprouts inventors and entrepreneurs will be featured on “The TODAY Show,” sharing their entrepreneurial journey and showcasing their products. The program serves as an entry into multiplatform retail for entrepreneurs and inventors and provides an opportunity for them to grow their businesses through a scalable, responsible and nurturing process. Inventors will have a chance to tell the stories behind their product to a highly engaged audience and educate them directly on how their product works. Every two weeks, QVC asks fans to vote online on which new product they would most like to see sold on the network. The inventors who receive the most votes are offered the opportunity to sell their products on QVC.com and, ultimately, the potential to sell on air during a live QVC broadcast. Since the program’s pilot launch in March 2012, QVC Sprouts has received an average of 10,000 fan votes per week and has sold more than 50 new products online or on air. Viewers are invited to vote online at TODAY.com/BrightIdea for their favorite product, and the winner will be announced on Sept. 20. The featured inventors and entrepreneurs include: Stephannie Keller and Heidi Valenti with the Blinks Folding Reading Glasses Pendant Necklace; Anne Cork with the Coasterica; Jennifer Briggs with the DrainWig, Raymond Cotton with the fixnZIP; Stacy Struminger and Rachel Teyssier with the RAINRAP; and Eric Zimmermann with Trongs. Immediately following the TODAY Show appearances, the featured products will be available to customers on QVC’s website. Different than the tours, QVC Sprouts is a year-round program, giving entrepreneurs and inventors an ongoing opportunity to submit their products. To learn more about QVC Sprouts, visit http://www.QVCSprouts.com. QVC fashion designer Isaac Mizrahi is in hot water — with the New York City Jewish community, according to the New York Daily News. Its Confidential gossip column reported that Mizrahi’s appearance on QVC Saturday, Yom Kippur, the holiest Jewish holiday, upset local Jews. The News claims that some are calling for a boycott of his products. We were amused to see that a charismatic celebrity rabbi/author that we once interviewed for our day job, Shmuley Boteach, was quoted about Mizrahi’s actions. “Modern people have to learn to put values before money, and if Sandy Koufax could give up the World Series for Yom Kippur, then Isaac Mizrahi could give up a dew hours of hawking some of his wares,” Boteach told the News. 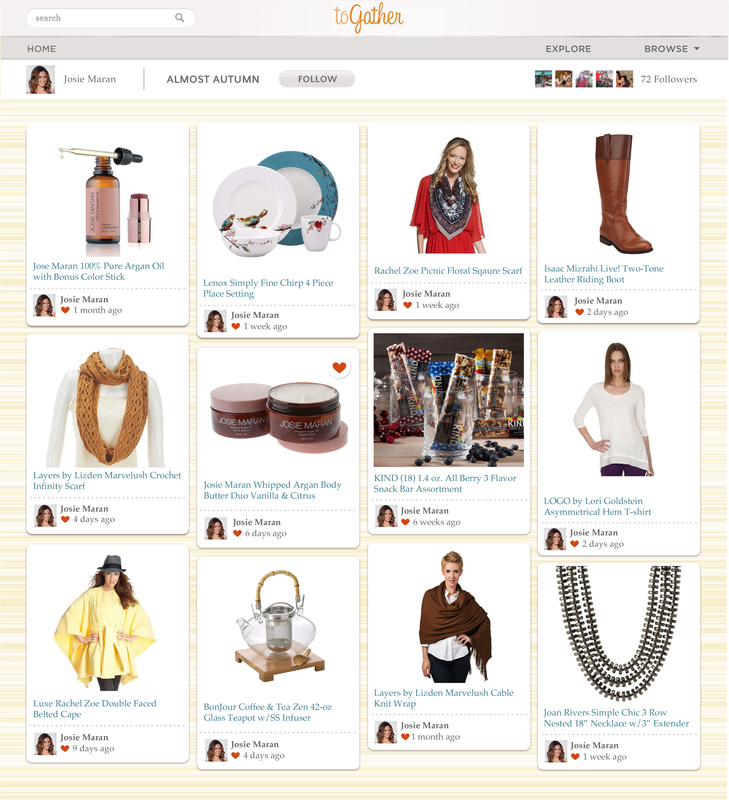 You are currently browsing the Homeshoppingista's Blog By Linda Moss blog archives for September, 2013.